This is another #31dayblogchallenge post. Edited to add: Blocks due January 20th, 2016. After that I’ll make do with what I have and get this project finished. Thanks! I’ve got three more #getyourquiltywishesgranted envelopes ready to mail and four that are waiting for me to buy stamps. 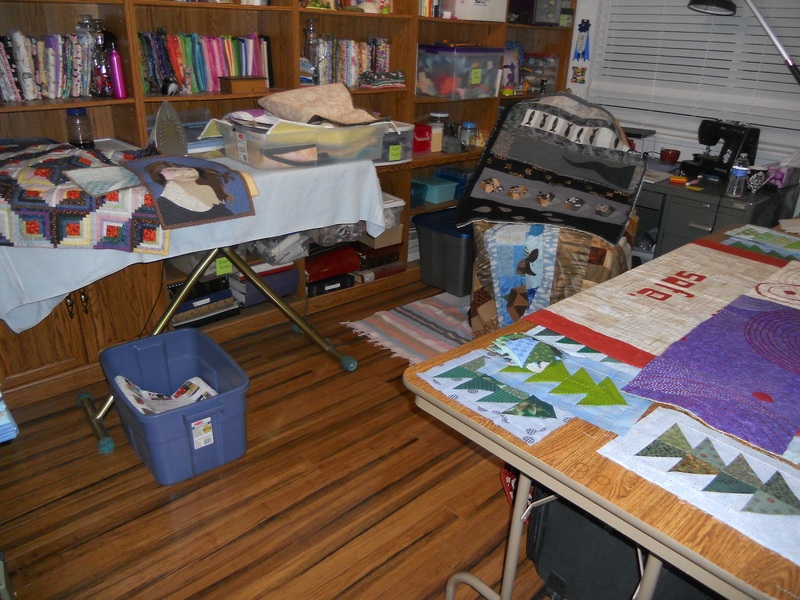 In light of all the giving going on I thought I’d take this opportunity to ask for more help finishing a quilt. This quilt is for my childhood summer camp and has been a community project from the very beginning. Many artists have helped make the center turtle blocks as well as the tree blocks already. 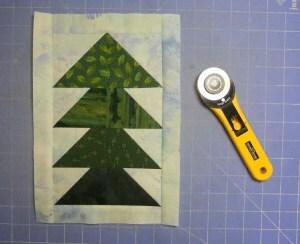 What I’d love to have is more tree blocks for the final border of the turtles’ quilt. I still need 75 more to make it all the way. Will you help? There’s a block tutorial here for the easy 8″ x 11.5″ pieced blocks. If you’re sending some my way please email me for the address mrs.megan.null at gmail dot com. This entry was posted in Artist's Studio, Challenges, Collaborations, UFOs and tagged #getyourquiltywishesgranted, 31dayblogchallenge, block tutorial, border, camp, camp quilt, clc, community quilt, crystal lake camps, help wanted, pieced border, summer camp, tree blocks, trees, turtle quilt, turtles, turtles quilt, UFO, wishlist on December 8, 2015 by quiltartbymegan. Check back all month during the #31dayblogchallenge for daily posts. This one happens to be about cats. ‘Cause I like cats. Chances are, if you post a photo of your cat on Instagram I’ll heart it. (I’m quiltartbymegan on there.) 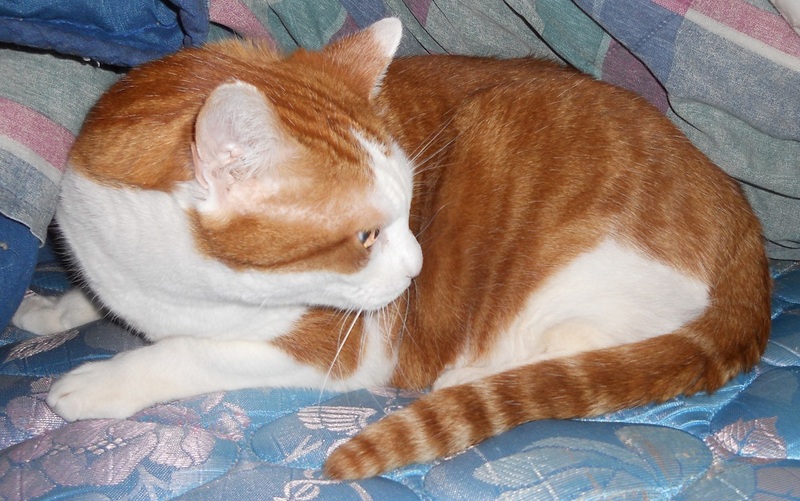 I might also like your quilt or landscape pictures but the furry felines will almost always get my attention. So here’s a few pictures of my four kitties for your enjoyment. Let’s start with the youngest, Wormy. She’s difficult to photograph! Wormy’s a squirmy little runner but does enjoy drinking from the faucet. She’s very talkative when my husband and I wake up in the morning and likes to be pet inside her box on top of a dresser. Velcro is so named because he stuck to everything as a kitten. He has a bit better claw control now but still makes the velcro-ripping sound when he runs across carpet. Silly boy! He’s our gentle kitty. When he wants to snuggle he waits for you to look over at him before jumping up, like asking permission. Want him to love you forever? Bring beef jerky. Here’s Milo. He’s a stubborn boy who thinks he can do whatever he wants. Thankfully what he wants to do is usually acceptable, like curl up next to my head to sleep. Or clean behind the other cats’ ears. Sweet stubborn kitty. 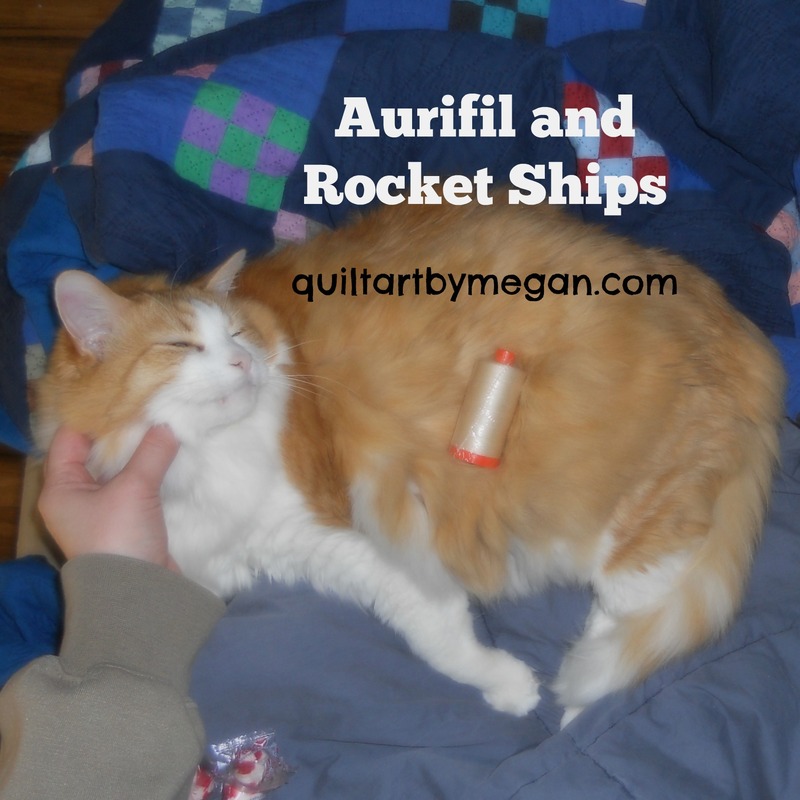 This entry was posted in Family and tagged 31dayblogchallenge, blog challenge, cat, cats, kitties, kitty, LokiBear, Milo, my cats, Velcro, Wormy on December 5, 2015 by quiltartbymegan. Day 4: You’re Beautiful. Really! You’re beautiful. Yes you. Really! Take that in for a moment and then click play on this video. Watch people react to Shea Glover telling them they’re beautiful. But first grab some tissues. You might cry. I did. Check back all month during the #31dayblogchallenge for daily posts. See you tomorrow! This entry was posted in Inspiration and tagged 31dayblogchallenge, beautiful, beautiful things, blog challenge, pretty, Shea Glover, social experiment, youtube on December 4, 2015 by quiltartbymegan.